Peter Cushing was born in May 1913, and we are planning to commemorate the great actor’s centenary with a lavish new book. Since autumn 2012 we have been working with the Cushing estate to compile both his autobiographies together with numerous rare stills and other unseen items from his private collection. 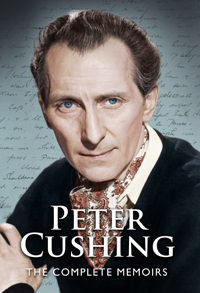 Peter Cushing: The Complete Memoirs will be published in April 2013.